I love casseroles. Not only are most casseroles easy to put together, you can also cut down on the meat and still have a delicious, hearty meal. This Swiss Chicken and Stuffing Casserole goes together quickly so you can work on other things while it is baking in the oven like making a simple salad. You can get away with using just one box of stuffing mix and one can of cream of chicken soup but with this recipe I like to double them both to make it more filling. It all still fits nicely into a 13x9x2 baking dish, and hopefully you will have leftovers because this is one of those dishes that tastes great reheated. This recipe takes just five ingredients, including the butter for the stuffing, and you should be able to find generic versions of all ingredients. You can also get away with less Swiss cheese if you have it sliced thin at the deli. Preheat oven to 350 degrees. Spray 13x9x2 baking dish with cooking spray. Prepare stuffing mix according to package directions. Meanwhile, place chicken pieces in baking dish and spread out evenly (pieces do not need to be touching). Spread cream of chicken soup evenly over the chicken mixture then lay the slices of Swiss cheese over the soup. Spoon stuffing over mixture and spread out evenly. Cover with foil and bake for 45 minutes. Uncover and bake another 10-15 minutes or until casserole is bubbly and chicken is cooked through. 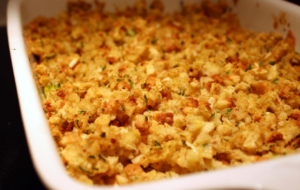 This Swiss Cheese Chicken Stuffing Casserole is always a hit in my family. I keep the sides simple, usually green beans and always cranberry sauce. I love serving cranberry sauce whenever I have any type of stuffing. In fact, this meal reminds me of Thanksgiving! This looks like a wonderful casserole to try on a budget. 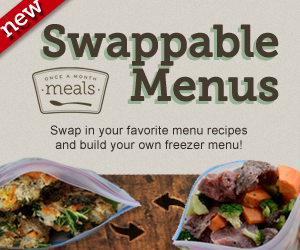 It really is good and great for leftovers as well.